Most affiliate tracking tools are built around eCommerce, making it very difficult to handle even the basic use cases encountered by subscription businesses. They are not tied with subscriptions and don't know how to handle subscription upgrades, downgrades, delayed credit card charges or cancellations. FirstPromoter was built from the ground-up with subscription businesses in mind. FirstPromoter automatically adjusts commissions in case of upgrades or downgrades, automatically tracks free trials, cancellations and refunds, calculates Monthly Recurring Revenue generated by affiliates, let's you set different commissions for different pricing plans, and much more. 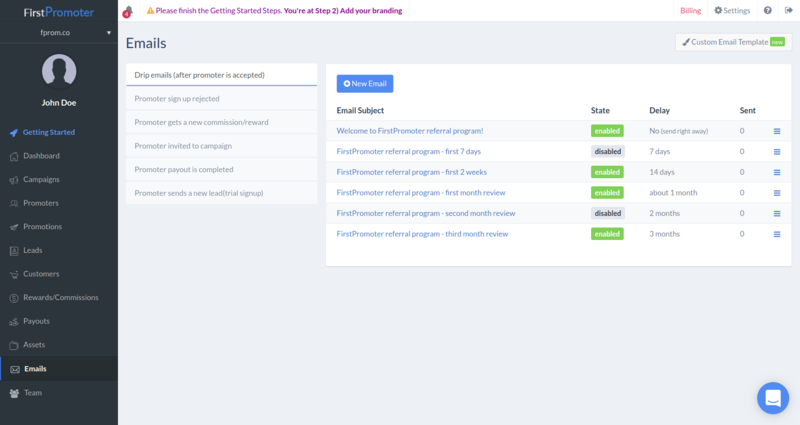 FirstPromoter is the first affordable affiliate tracking and management tool, designed and built exclusively for subscription businesses. Set commissions based on the pricing plans . FirstPromoter allows you to set up different commissions based on the plan id on Chargebee. 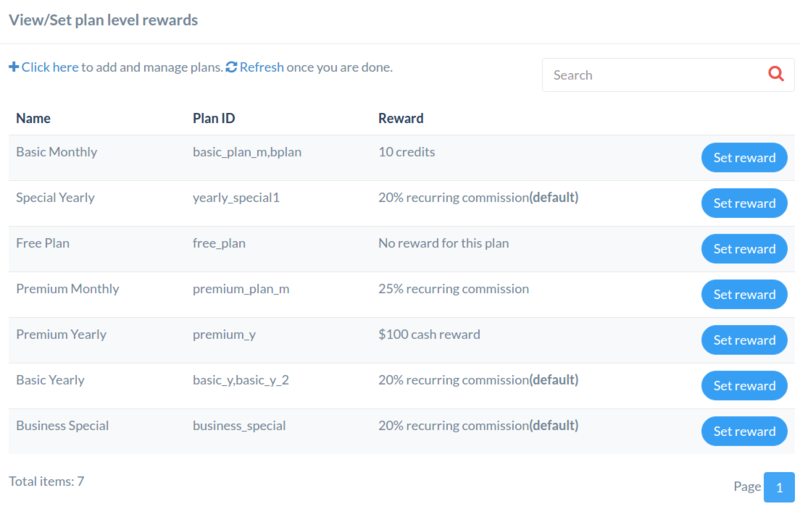 You can also exclude very easy certain plans from generating commissions. You can automatically activate and on-board your new affiliates with pre-made drip emails. You can also send emails based on different triggers like when a payout is completed.